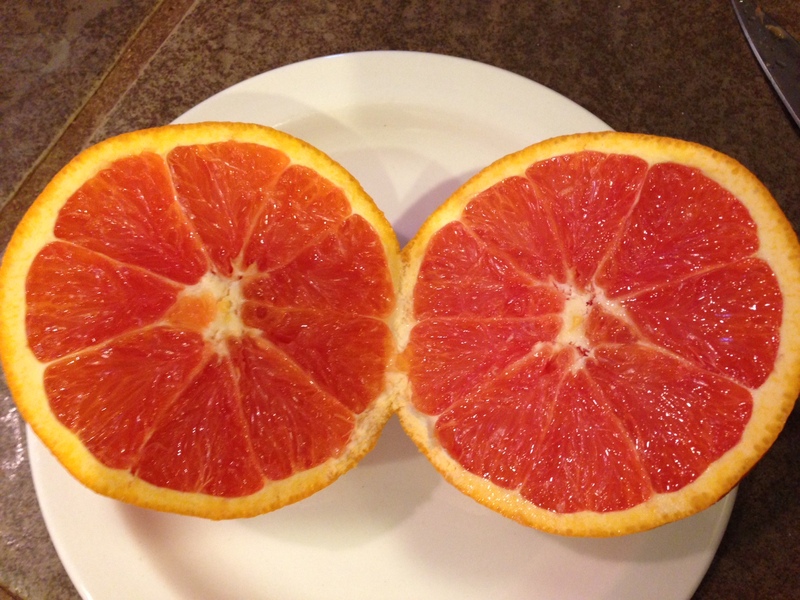 This week, I discovered this crazy delicious citrus fruit called the Cara Cara Orange. Apparently, it does not actually have any grapefruit ancestry, but it has the most subtle grapefruit flavor while still being sweet and delicious. Basically, it rocked my citrus world. If you happen upon them at the market, I highly recommend you pick up a couple. To make sure you get the really juicy flesh, pick ones that feel heavy with small pores. This entry was posted in Unusual Produce. Bookmark the permalink.